Moscow (Russia): In the sweat and heat of Nikolskaya Street, men hug and pose for photographs with smiling women amused by their coloured wigs and horned Viking helmets. The strip of bars and shops a few hundred yards from the Kremlin is a feast of beer and mirth for football fans visiting Moscow for the World Cup. It is also where Mariana Zacarias was sexually harassed while doing her job. Like numerous other female journalists, she has been groped and kissed while covering the tournament. With more women watching and working in football than ever before, stories like hers have drawn outraged reactions on social media, thrusting the problem of sexism and harassment into the spotlight at the world's biggest sporting event. A man in a white T-shirt grabbed Zacarias's head in both hands and forced his mouth onto her face as she struggled, microphone in hand, in front of the camera. She published the video online in a report for Mexican sports website Medio Tiempo. During another broadcast, a passing man slapped her bottom. On a third occasion, another man grabbed hold of her. "It is unpleasant and offensive and it shouldn't happen," she told AFP. "We are doing our job and you deserve respect, whether you are a man or a woman." A string of clips published online have shown fans kissing and groping reporters or singing obscene or insulting songs at female fans. 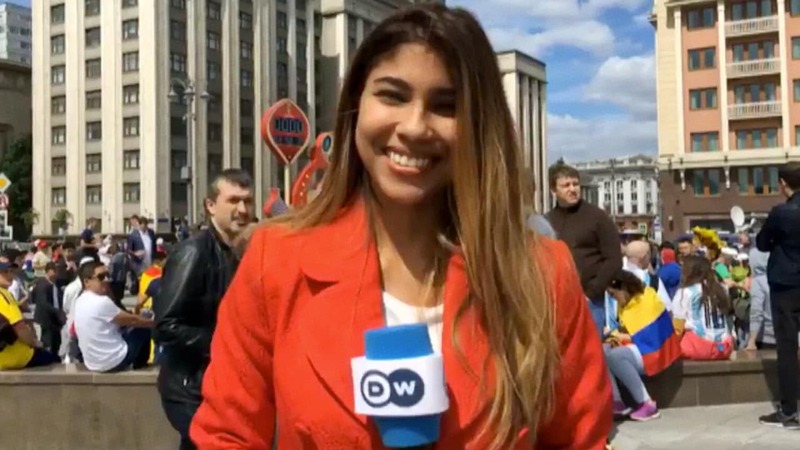 At least two female AFP journalists have been harassed by fans while covering the World Cup. One of them was groped and thrown in the air by fans celebrating a goal. In Nikolskaya Street on one match night, AFP caught on film the moment a man grabbed and kissed Russian television reporter Yulia Shatilova. "It has turned into a sort of entertainment, a kind of game, especially with female reporters," she said afterwards. "It's rather embarrassing what is happening here, especially at night." Women journalists say they often hear men telling them they know nothing about the beautiful game. But more women appear to be watching and working in football than ever before, bringing the issue of sexism to the fore. 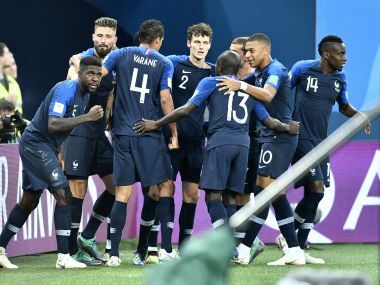 A FIFA survey of television viewing figures across 25 key markets during the 2014 World Cup indicated that nearly 40 percent of viewers were female. The London-based network Fare, which campaigns against discrimination in sport, named 44 female broadcasters involved in frontline broadcasting at the World Cup and said there were known to be "many more". "From the number of women involved in leadership, the storylines of TV advertising, the constant TV close-ups of attractive women in the crowd, to the number of female toilets inside stadiums -- the role of women is passive, often as objects of adornment," Fare said in a blog. But "there is another story to this World Cup. One that sees the spaces for women to make their mark growing," it added. "For the first time in the history of the tournament the general secretary of FIFA is a woman," Fatma Samoura of Senegal. She herself called in a tweet this week for women professionals at the tournament to be respected. Less than a year ago the Harvey Weinstein scandal forced sexual assault out into the open in the film industry and sparked the "Me too" movement to denounce such abuses online. Though this month's harassment cases have involved fans rather than officials, some are wondering whether this World Cup will be a kind of #MeToo moment for football. "MeToo is a revolution in which people can speak out to put an end to harassment in all areas," said Zacarias. "In the case of the World Cup and what happened to me – that is part of the MeToo movement too." Russian activist Alena Popova launched a petition against fans who were filmed singing sexist chants. "This is not about 'Me Too'. This is about a more serious campaign for basic rights and personal boundaries for everyone, regardless of gender," she told AFP. "It is good that an international dialogue about this has started, thanks to the World Cup." Some fans who travelled to Russia said the online uproar about harassment did not do justice to the friendly atmosphere at the World Cup. "I don't understand it. I don't feel that (tension) when I go to the stadiums," said Adriana Coelho, 39, visiting from Rio de Janeiro, after posing for photos with Russian families on Moscow's Red Square. In such a convivial setting, some see the World Cup as an opportunity to change attitudes. "I have been a football fan all my life," said Fernanda Flores, 31, a publicist from Mexico City, standing in the sunshine on Red Square. "We know that at the World Cup it is mostly men. But in Mexico there are more and more women watching football... An event like this is for both sexes."